Creating an integrated One culture for Success. The culture of any organization or institution is its heart and soul. It is how people work together, interact with each other, collaborate to solve common problems, communicate, trust and respect. Corporate Culture starts at the top and cascades through the organization articulated by the management group. 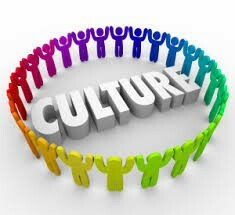 Functionally speaking Culture is a reflection of our work ethics, values, interaction with other, being respectful and supporting each other for the well being of the group. There is tremendous pressure in both private and public sectors to perform better with less and drive greater value to our customers. Having a powerful and healthy culture will drive engagement, reduce conflict and encourage collaborative approaches to solve problems faster and achieve goals as a team. Companies who are mindful of the importance of understanding the unique drivers of multi layered generations and diversity are most likely to be very successful in meeting their challenges and business goals. Simply put people are motivated when they feel vested into the organization, when there is passion for excellence and a desire to overcome barriers by working together and leveraging experience and knowledge. This takes effort and focus on everyone’s part but the responsibility rests with the management group to ensure they are connected with their employees and sensitive to their needs. One leadership style fits all is gone forever. Managers have to be agile and tuned to their people to create a culture that builds on respect, works toward common goals and purposes and does so respecting all. Let our team of experts help you with developing a culture that will propel your organization to new heights. Corporate culture has arguably always been important, but it’s only become a popular point of discussion in the past 20 years or so. To some, it’s become a buzzword, losing some of its meaning due to the overabundance of content and discussions surrounding it. However, I’d argue that corporate culture was never really overblown, and is actually becoming even more important as the modern workplace continues to evolve. Identity. For starters, culture contributes to the identify and values of your company. For example, if your corporate culture is one that prioritizes setting and meeting goals, your individual workers will be more likely to set and meet goals of their own. It’s a good way to set and maintain the direction of your employees, and without it, it’s hard to keep your company’s values coherent. Retention. A strong company culture attracts better talent and, more importantly, retains that talent. When people feel like they belong to an organization, they’re more likely to stick around for the long term. That means lower turnover, fewer new hires to deal with, and better chemistry among your team. Image. Corporate culture also adds to your brand identity. If you treat your employees well and have a fun-loving corporate atmosphere, your customers will see you as a fun-loving, generous brand. Depending on your target demographics, that could be a major boon for sales and customer loyalty. These are tenets of brand culture you’re likely already familiar with. Culture overall is going to become more important, which means all these dimensions will increase in line with that expansion. So why is that importance beginning to increase?